Congratulations to Janet, comment #93! I have taken my love for home décor and my love of crafts and combined them to produce the items you see in my shop. I hope you will find something you enjoy and that can add beauty to your home." I LOVE this Christmas subway art sign. Amazing right?? These zinnia flower silhouettes are handpainted and simply lovely!! I would have so much fun customizing a family subway art board like this one! 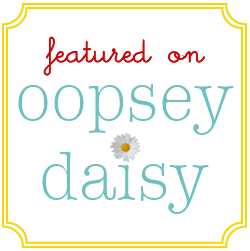 Becky is generously giving one Oopsey Daisy reader $60 to spend in her shop!! Wow! You can do some serious damage with $60!! Go visit my friend Becky at Vinyl Crafts. What catches your eye? Just leave a comment and let me know. 1. Like Vinyl Crafts on Facebook. 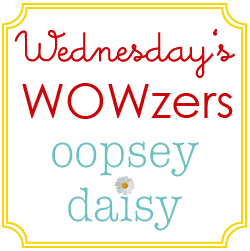 Let them know that Oopsey Daisy sent you! 2. Spread the word on Facebook or Twitter about this giveaway. Leave a comment and let me know! This giveaway will remain open until Wednesday, November 16 at midnight. Winner will be announced on Facebook/Twitter. 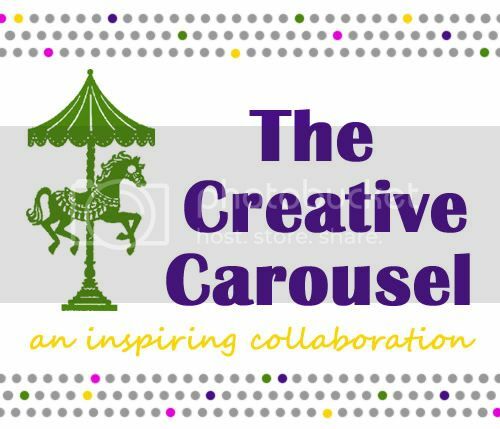 PS Go stop by Creations By Kara today and see her lovely Creative Carousel project! The Child’s Room Monogram is EXACTLY what I need for over my daughters bed. I JUST did a post last week about her new room and how I am looking for a vinyl monogram for over her headboard. Hope I win! would love to do my daughters name above her bed! 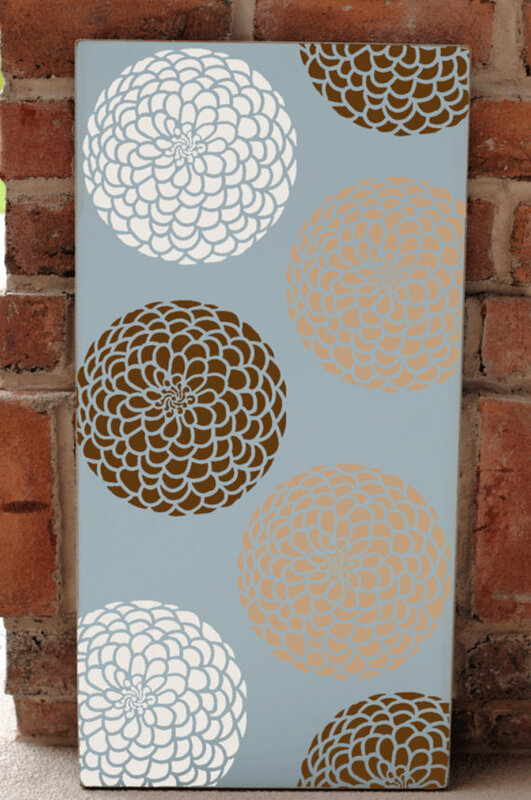 I *love* the zinnia flower silhouette board! It would match the color scheme in our bedroom perfectly! Thanks for the chance to win! I love “You’re My Happily Ever After.” Perfect. I REALLY, REALLY, REALLY would love the personalized one. That is the perfect thing to welcome a new adopted child into a family! I love the Toddlers Rules Subway Art! How sweet! I loved the monograms – (large W and small name William, for example.) How personal in a child’s room! I adore the Latitude and Longitude! I like the alphabet subway art or the family rules subway art. They are both fantastic. I “like” vinyl crafts on FB. I really like a lot of their options, but my favorite is the Inspirational Quote Board – Do More Than. Thanks for the giveaway! Love the Keep Calm and Carry On Wooden Sign! I like Vinyl Crafts on FB and said hello! I love the “Our Love Story”. That is just so sweet! I also love the “You’re my happily ever after” sign. That would be great for a friend’s upcoming wedding! Definately Twinkle Twinkle Little Star! It was the first song my youngest sang, and she still does all the time! I like the family rules! Wow! What wonderful design! I love the Temples, but I don’t think my walls can handle it. 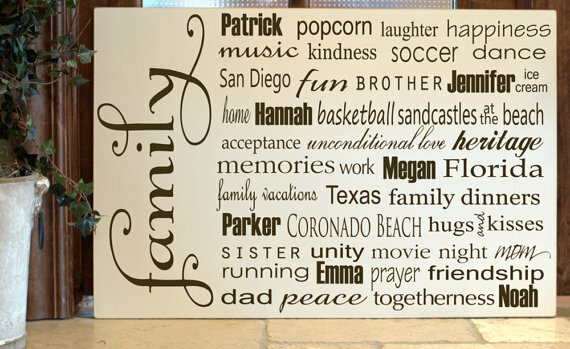 We’d love to customize family rules, and I LOVE the Life is a Gift board. Wooweee! Loooove the Family Rules Subway Art, I’m so grateful you ladies share your talents with us! I love the one that says, “IF I had to choose again, I would choose you.” Love it! Spreading the word about you fab ladies is my pleasure!! Done! I love the You Are My Sunshine Subway Art! My favorite item is the love story board! I love the believe christmas sign! Beautiful! 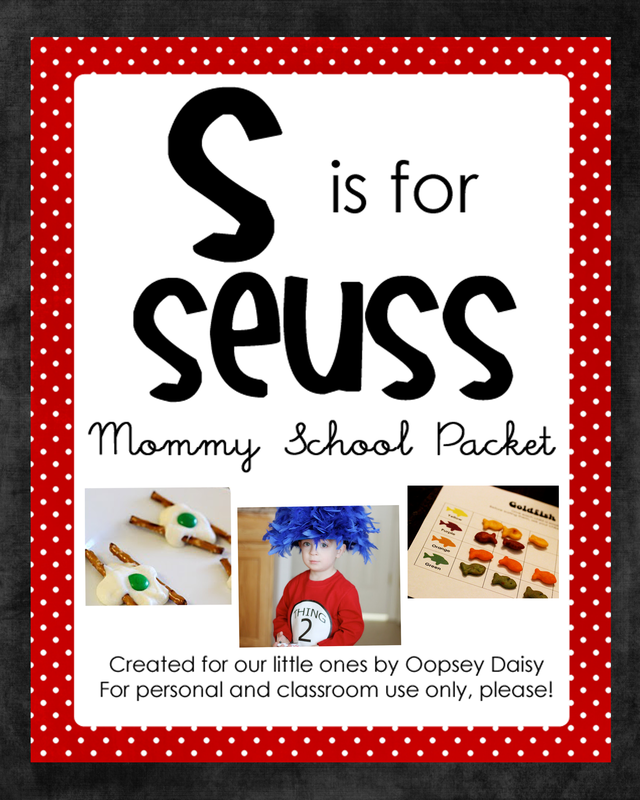 I liked vinyl crafts on facebook! I love the Playroom Rules subway art or the You are my Sunshine board! The Toddler Rules subway art is my favorite!! It made me smile and I think it’s such a great reminder for moms to relax and enjoy the crazy cuteness that comes along with toddlers. LOVE the family subway art!!! thanks for the giveaway!! I love the christmas board and the personalization! I love the Christmas one! I would love a family rules sign. Love Becky’s work!!! Have ordered boards in the past and her work is beautiful!!! I love the “We Do” subway art sign, and with a new baby on the way, how could we go wrong with one of the cool monogram wall decals? What a neat shop! Also, I just “liked” vinyl crafts on FB. And also, I was happy to share this giveaway by tweeting it! Thanks! I love the Family Rules, and the Laundry since I spend so much time doing it! Words that inspire subway art… Hard decision! I like the You Are My Sunshine Subway Art! Also love the Family Rules sign! LOVE the custom family art, the monogram for the kids room, and the laundry room wall decal that she made for a customer and loved how it turned out so she decided to list it. so cute! I Love the Chandelier Silhouette and the Believe signs! Already a fan of Vinyl Crafts on Facebook! Absolutely LOVE the “Our Home” sign – so beautiful!! I love the bathroom rules subway art. So cute! Thanks for the giveaway! I like the family subway art best…I think. I LOVE the chandelier silhouette on handpainted wood sign. I have LOVED the new family rules for a while! I also love the everybody is a genius it would look great in my classroom! I’ve already liked vinyl crafts on facebook! What talent! I love the family rules subway art and it would be so fun to customize it. Thanks for the giveaway! love the subway art for the laundry room!! This is great…I love her shop!! I really love the Zinnia flower silhouette!! Wow! I love this kind of stuff! The one that I kept going back to was “Custom Designed Family Rules Subway Art With Your Choice of Words/Phrases”. It would be fun to customize one of these! If I Had to Choose Again… My favorite because of the saying but also the choice of colors! Beautiful work!! Such pretty signs! I think I would pick the “you are my sunshine” sign. Thanks! Liked Vinyl Crafts on FB and left a comment. Thanks! I would love the family board with everyone’s names incorporated! I love the Family Subway Art Board. This would be what I would choose. Loved the candy bowls and the wall initials! Also, I an new here, but have really been enjoying your blog! Thanks for all the fun ideas! I love the bathroom rules subway art! Adore in fact! Great giveaway! I really like the College Subway Art Typography Word Art. Go Illini! I love the Family Rules Subway art! LOVE the family rules!! Would love to win!!! ABSOLUTELY LOVE THE PERSONALIZED FAMILY SUBWAY ART. HOW CLEVER! SO FUN TO ADD VACATION DESTINATIONS OR PLACES WE HAVE LIVED. I LOVE the Family Subway Art Board or the Toddler Rules Board…I love them all! I LOVE THE ‘IN THIS HOUSE’ SIGN AND THE ‘IF I HAD TO CHOOSE AGAIN’…LOVE THEM!! Family rules is my pick. I love the Christmas Subway Art Wooden Sign, it’s a*mazing!!! love it! I have been looking for the perfect Christmas Subway art and I think I’ve found it!! Love it!!! Thanks for such a generous giveaway! I like the Family Word Art Subway Sign. I would like a Child’s Monogram for my kiddos. Also love several of the Subway Art! It is so hard to pick one, but I love the New Family Rules Subway Art. I like vinyl crafts on facebook (Kristen Harper)! I like Vinyl Crafts on FB. I am in LOVE with the family subway art! I love how everyone in the families name are in it! I love the Christmas subway art! Very cute! I like Vinyl crafts on facebook! Love the laundry and bathroom rules subway art. I like the family rules sign! I love the family subway art! I also LOVE the culinary herbs subway art-that would be so fun to hang in the kitchen. I LOVE the Twinkle, Twinkle Little Star. I would love to give it to my little granddaughter for Christmas. I like the BYU sign. It would be perfect for my dad for Christmas. I also like the Christmas Subway Art sign for me! Followed on facebook as Sarah Blake. I love the Family Rules subway art. That’s something my husband and I recently talked about having in our house so it’d be great to have one that we don’t have to create and looks way better than what we could do anyway! I like the you’re my happily ever after! Love the “believe” christmas sign! I love the “Twinkle Twinkle” sign! 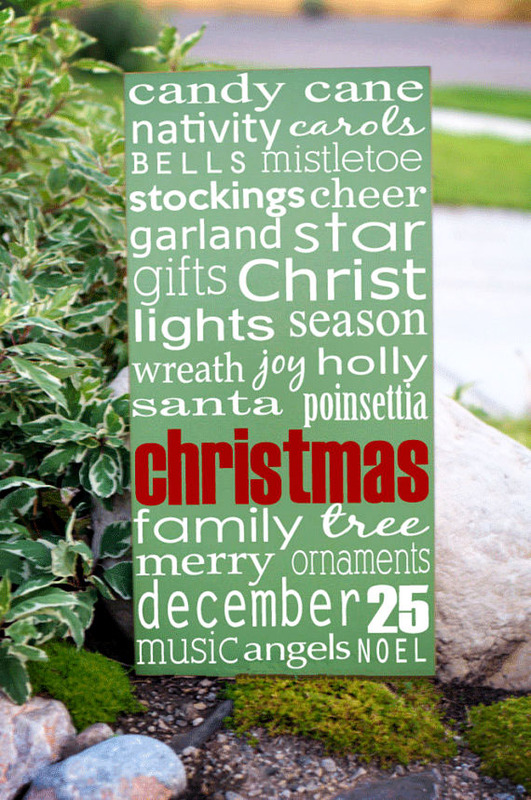 I love the Twinkle Twinkle Little Star Subway Art Typography Word Art Sign! I love the Silent Night Christmas wood sign. Perfect for the holidays coming up. I really like the quilting and sewing subway art, but I also love the family rules art. I would be hard pressed to figure out which one I like the most! Thank you for the opportunity! I just loved LOVED loved the ‘together we can do all things’…so perfect for our family. Just love the “Beach House Rules”…. We love the ocean and even though we don’t have a beach house…it would fit very well in our Beach/Tiki inspired home! If I were to win the drawing, I would probably create something custom for above our bed. I really like the vintage inspired name, but instead of the baby name, have the hubby’s name + mine….with the vintage scroll top and bottom. I love that! I love the Thanksgiving sign! I liked Vinyl Crafts on FB! Love the twinkle twinkle little stars sign. So cute! Love this shop! The subway art is awesome! I’m not sure if I made it because of the time zones, but I love the “You’re my happy after” cute!